Is it “Figure” or “Shape”?? First of all, let’s all think about how NERVOUS we would be if someone from TEA was observing our lesson. Secondly, can you imagine how you would feel if the TEA called you out on not using the right vocabulary? 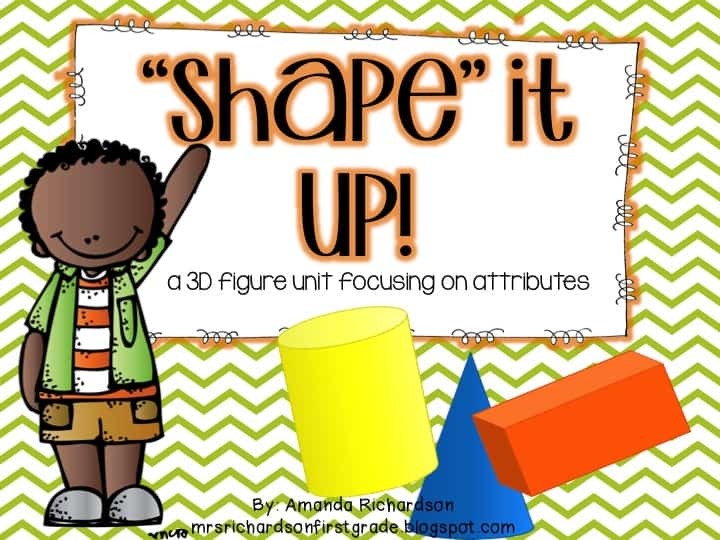 I wanted to give you a peak at my new unit, “Shape” It Up! It has been fun to create. I used half of it last week with my first grade friends. They LOVED the figure poems. We sang them all to the tune that the popular coin poems are sung to. 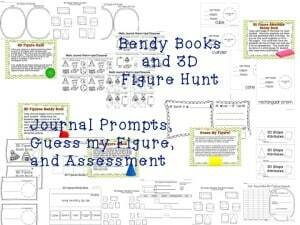 We also created the attribute bendy book! This unit is structured a lot like my Money unit. So if you liked that a lot, I know you’ll love “Shape” It Up! I will give it away to one lucky winner! Follow my blog and leave a comment telling me if you teach with the word “shape” or “figure”! 🙂 Don’t forget to leave your email address, too! I will pick a winner Sunday afternoon. I follow your blog. 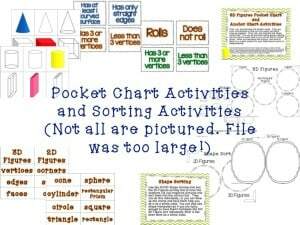 Up till now I was using shape but now I am going to talk to my teammates about using figure. I follow your blog. I have always taught it as shape since that is what our math curriculum uses. I might have to think about introducing both terms to the students…they can handle that – right!?!? YES! I completely agree! I think they need to know both terms, too! 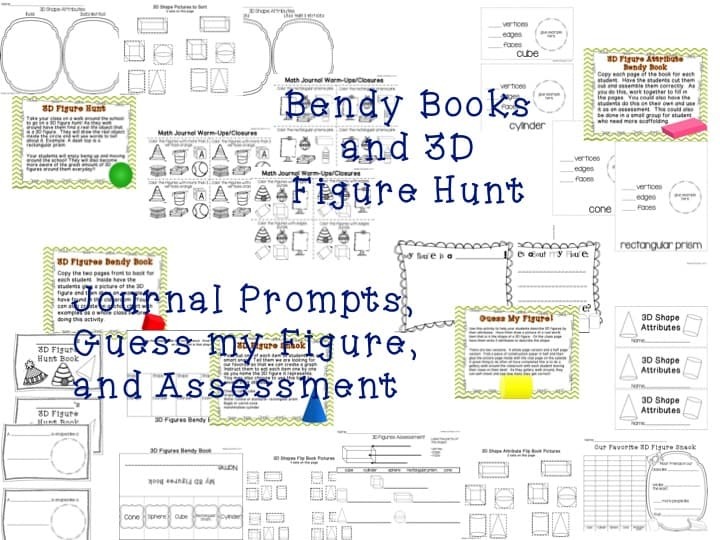 I follow your blog and LOVE your TPT store…especially those CSCOPE aligned items! 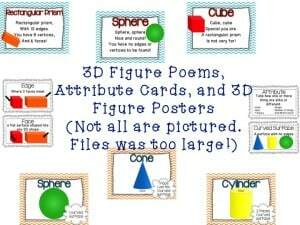 I am a first year teacher and I have only used the term shape so far! I am glad you posted this because now I caught my mistake early! I will for sure start using figure as well. I love how you used the term figure in this packet. It must be so frustrating knowing your students know the material but they can’t answer the question just because a term threw them off. I generally have used plane shape (2-D) and solid figure (3-D). I do try to use both terms just so that students get used to the different vocabulary. In a testing grade, especially (3rd), I really try to use different terms (character traits/ characteristics, etc.). I didn’t know one was “correct,” but I think it’d be important to touch on both. Thanks for getting me thinking! I use both….shape the most! Add that better vocal to my to do list! Lol! Interesting…I never gave it much thought, but guess I am more of a 2d shape/3d figure. Would love a chance to win this so I can use the ‘correct’ terminology! Oh My! That would be scary with TEA! 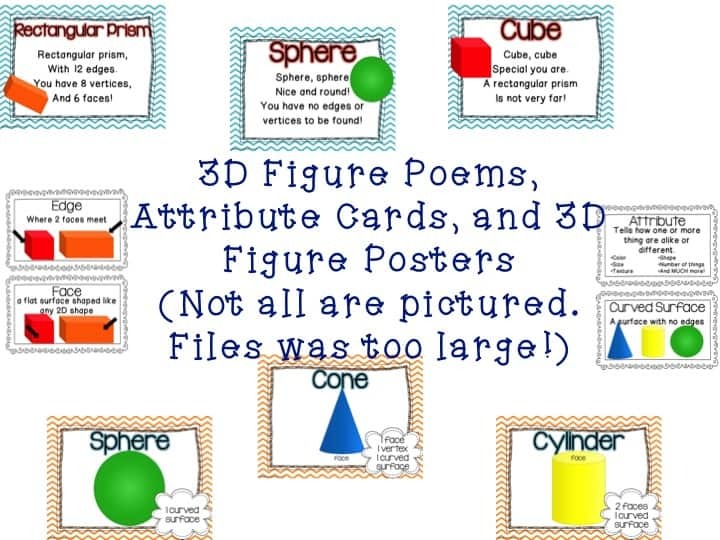 I seem to always say 2D shapes and 3D figures…. 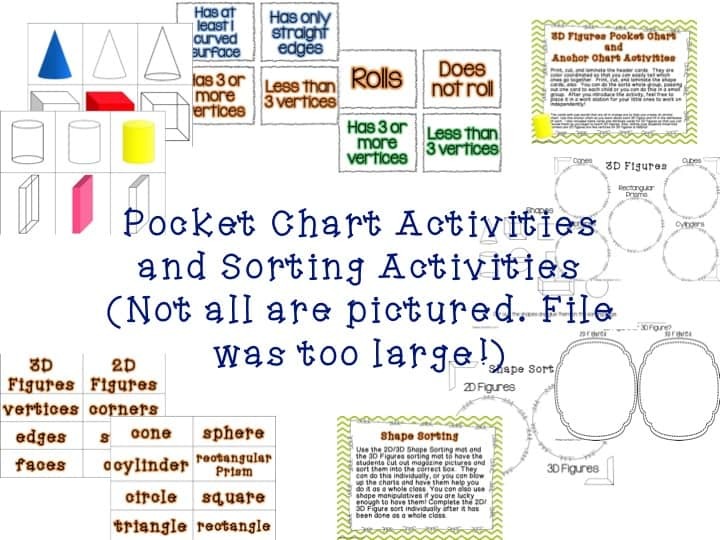 but hardly ever refer to 2D shapes as figures….hmmm… I better change it!! After 11 years, I guess I need to change and update my vocabulary! Your blog continues to educate me! THANK YOU! I follow your blog! Hmmm… I’ve always used “shapes” in my teaching! I have always said shapes. This is such a good point!! I’ve always used shape but it’s time to start using the word figure interchangeably!! I would SO love this for when we start Cscope next year. Our math textbook consumables are not going to be purchased for us next year so we will be looking at math ALOT different. Our curriculum uses the word “figure” but I like to interchange it with shape because they do look at you like “what is a figure?”.